Worth-A-Shot, Inc. offers a large array of courses to meet all of your shooting needs. You will find a variety of courses listed below, as well as several additional courses under our NRA page. Most of the courses on this page are about an hour in length. 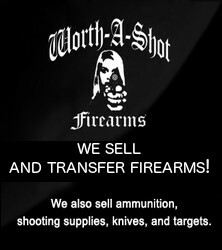 Worth-A-Shot, Inc. is proudly featured on both websites. Please call our office or (443) 688-6521 for additional information or to schedule your appointment today! We strongly recommend this course as a starting point for ALL of our students. This is a pre-requisite for any other live fire training course that we offer. 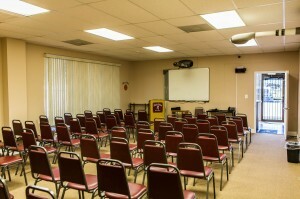 We offer several class dates every month! This course is conducted in our training facility located at 8424 Veterans Hwy #11 Millersville, MD 21108. This course will teach the safe handling, legal aspects, and maintenance of a firearm, as well as the fundamentals of shooting. During this course the student will handle actual firearms with training ammunition. NO LIVE AMMUNITION IS USED IN THIS SETTING. The student will learn the fundamentals of shooting in a quiet and safe classroom environment. This course is most often followed up by the Fundamentals : Range Setting Basic Course; students will utilize all their skills acquired in the classroom during live fire exercises. This course is designed for the beginner as well as the experienced shooter who seeks improvement. During this course, the student will learn the safe handling of the firearm, as well as the fundamentals to shoot correctly and accurately. The student will work privately with a certified instructor. Beginners will be eased into the art of shooting with step by step instruction. Focus is on proper technique and mechanics. A great confidence booster and stepping stone. One of our most popular offerings. Most shooters will improve their current shooting level by an average of 25% after just one lesson.